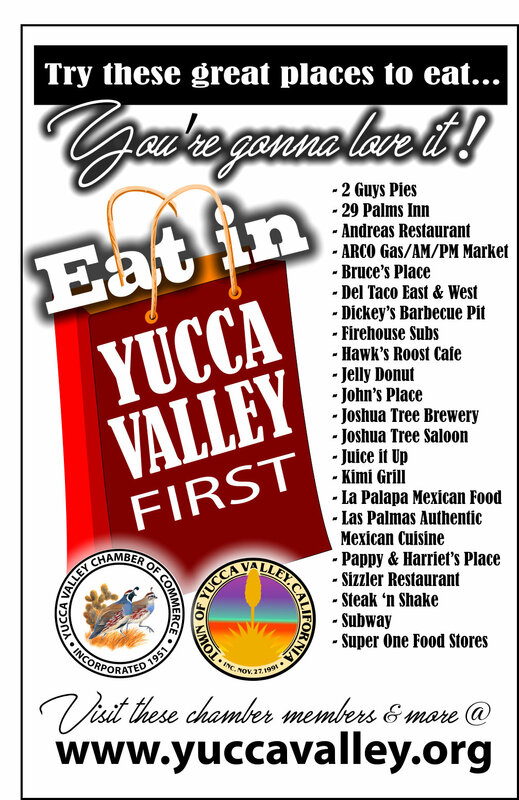 Open Monday - Friday 9:00 a.m. to 3:00 p.m.
done by our Chamber Members! CLICK IT! TO get your name on the list! Chamber Business Review - special prices for Chamber Members ONLY! 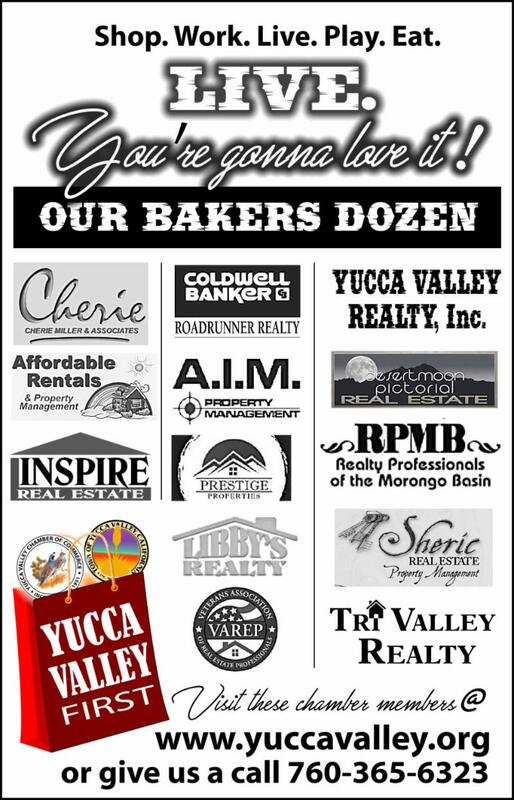 Send us your photos of Yucca Valley's businesses, friends and families "Shopping, Working, Living, Playing and Eating in Yucca Valley! We'll give you photo credit on our web site, Facebook and Chamber Business Review pages!